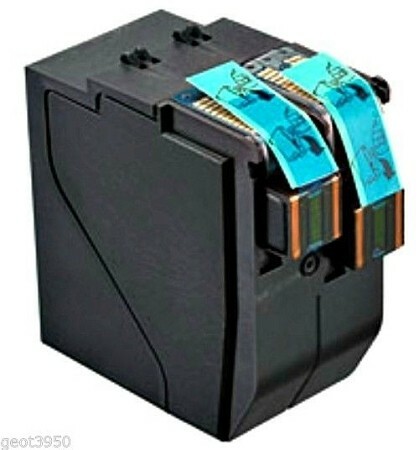 This is a Compatible Inkjet Cartridge #4102910P/ 4139534P / IJINK678H. Filled with Red UV Ink, USPS approved. Yields up to 31,500 Impressions without an ad envelope. It fits the IJ65, IJ70, IJ75, IJ80, and the IJ85. Specialty ink cartridges at a fraction of the cost! We sell Speciality HP, Hasler and Neopost Ink Cartridges: Aqueous Inks, Spot Colors, and Fast Drying Ink Cartridges. Our focus is serving the needs of mailers and we do it right... with service and quality at its best! Questions: Call us 303-690-7653, Monday thru Friday... Thanks.. Copyright Emerald Recycling, Inc.. All Rights Reserved. eCommerce Software by 3dcart.